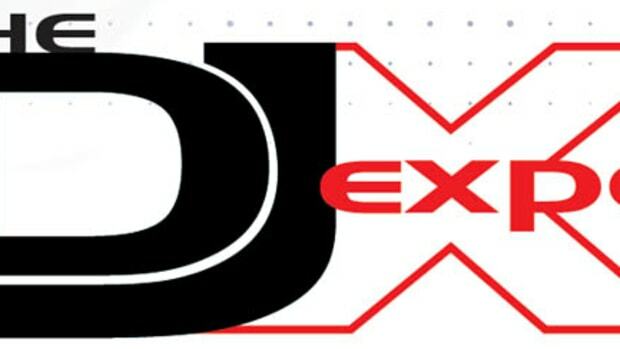 At the DJ Expo of 2008, Pioneer had the biggest and most technologically advanced booth in all the land. 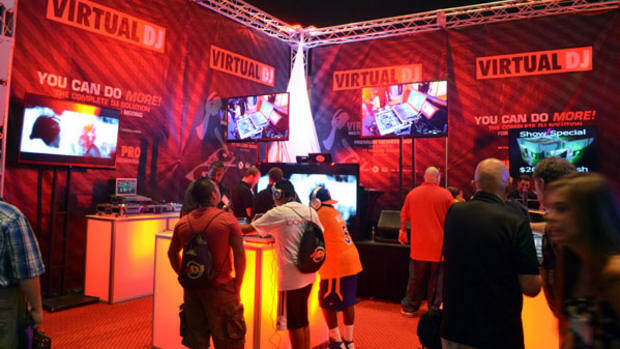 These guys had about 8 performing DJ’s, 20 flat panel displays everywhere, and huge crowds of DJ’s eagerly anticipating the new wave of DJ Video Gear produced by Pioneer DJ. First of all, Pioneer had about 3 setups for DJ’s to come in and “tamper” with video DJing. They had their DVD players; the DVJ-1000’s, the DJM-800, and a 40” flat panel Display (seen below). I was super surprised at the emulation and Video scratching abilities that these units are capable of. Any scratch you can think of will show up on the video screen in real time without delay. They also had a triple screen display which allows you to see the video Mix before it actually goes live on the big screen. It’s almost like using your earphones to cue songs before allowing the audience to listen to it. 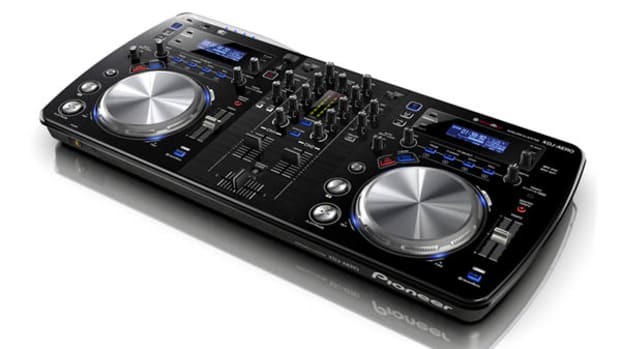 Below is pictured one of Pioneer’s newest controller/players; the MEP-7000. The unit includes a full-color display along with 2 front USB ports which allow users to import their entire DJ library directly into the units. These decks can read just about any type of CD or DVD-Rom you can think of. 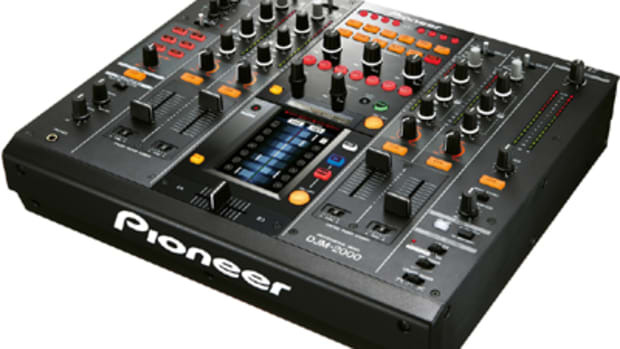 It also comes with Pioneer controlling software, but the user can use any software they would like. There is no need for timecoded CD’s as the decks do all the encoding internally. There are 4 different modes that these units use are: Browse – Allows you to Browse your library during playback (also shows titles, time left on the track, and it also allows the DJ to assign the track to any channel/side of the unit. Mix – Internally mix from one track to another using automix where the deck automatically beat matches the tracks. Effect – where you can use jog effects or scratch effects where the emulation is the SAME as the flagship uints the CDJ-1000. Utility – Selects brightness and setup MIDI for software and other properties of the device. Also on display was their High powered audio and DJ Video Mixer, the SVM-1000 (pictured below). This Unit does so much that it would be impossible for me to cover it all. 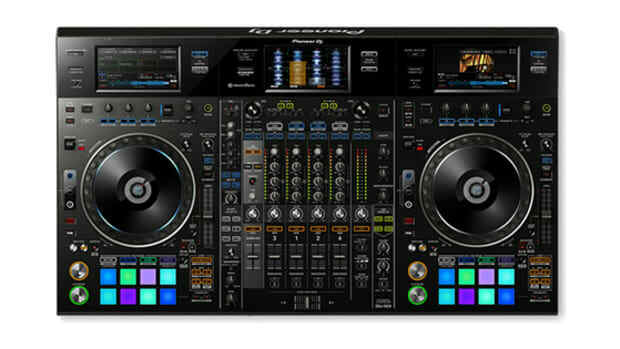 Pretty much this unit allows you to do anything you would need to do when Video DJing. You can see your Video Mix before you bring it in. You can add words or phrases to the screen in real time. You can hookup a keyboard to type and control the features of the mixer. You can Load JPEGs to the mixer and assign it to a channel and Mix the JPEGS into the video. You can link Video/Audio fading or make them act independently. 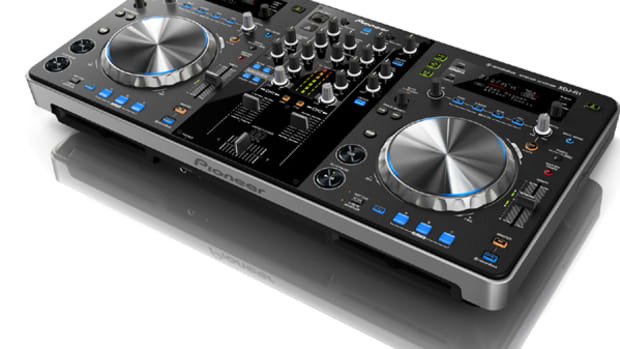 This IS THE BEST MIXER FOR A VIDEO DJ PERIOD! If you are serious about switching to Video, then it is a no-brainer that Pioneer has EVERYTHING you need…and in top quality to boot!